The International Automotive Research Centre (IARC) was WMG's first purpose-built facility, opened in 1986 by Prime Minister, Margaret Thatcher. Originally named the Advanced Technology Centre, IARC was established by Professor Lord Bhattacharyya with the vision of creating a dedicated facility that would be an integral part of WMG's philosophy of working closely with industry. Over the years, the work has evolved along with technological and societal changes, but still remains firmly rooted in WMG's original collaborative vision. Today WMG's close partnership with industry is clearly in evidence within IARC's workshops and offices with academics, researchers and engineers working together on the next generation of innovative solutions. IARC is the home of WMG's new Energy Innovation Centre. Co-funded by Government and industry, the £13 million centre will capitalise on the growing electric and hybrid vehicle battery market, which has been estimated to be worth £250 million for the UK by 2020. 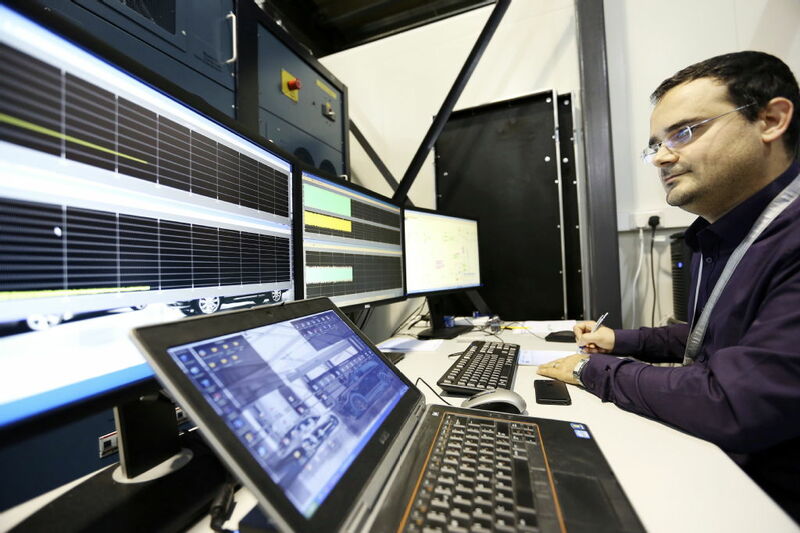 The combined facilities will provide a one-stop shop for battery characterisation plus abuse testing and an electric and hybrid drive test facility. The Centre will build on the UK’s world class research base in electrochemistry. It will focus on the development of a new generation of high performance batteries designed to be more economic and stable, yet boast higher energy density levels than those currently available on the market. The adoption of electric and hybrid propulsion systems is currently being held back by the energy storage capacity of present day commercially available lithium technology batteries. A five-fold increase in energy density is required to enable battery powered vehicles to achieve the range that conventional internal combustion engine cars offer with a tank of fuel. Part of the new Energy Innovation Centre, the new Battery Scale-Up Line will enable electrochemists to create full-size prototype battery cells using novel chemistries without having to rely on battery manufacturers to make the larger cells. Outfitted with pilot-scale production equipment and cutting-edge dry room technology, WMG’s Battery Scale-Up Facility is the only one of its kind in the UK. 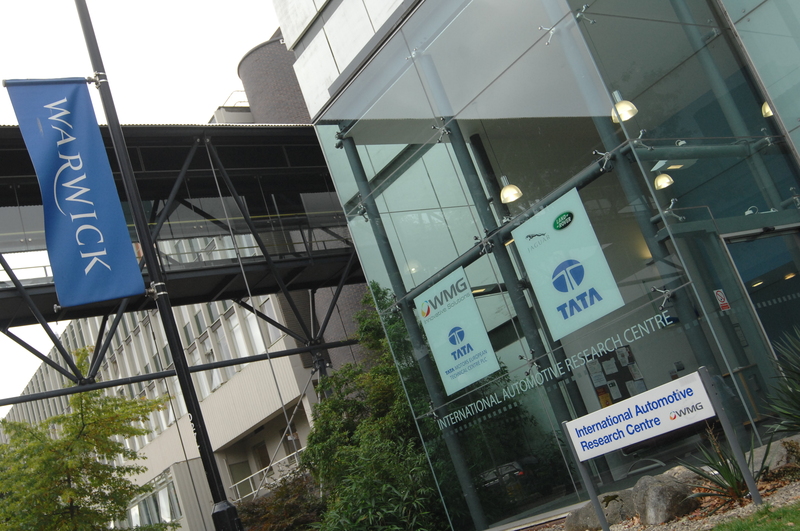 Tata Motors European Technical Centre (TMETC) 240-strong team is based in IARC. TMETC has expertise in areas including powertrain and driveline, systems integration and electronics, legislation and homologation, manufacturing and production engineering. The Centre is engaged in design engineering and the development of products for the automotive industry.